A service dog or "assistance dog" is a specially trained dog whose specific skills are meant to mitigate the symptoms or difficulties that accompany neurological, psychological or physical disabilities by assisting in every day situations. They can help people with disabilities that range from Hearing Impairment, Multiple Sclerosis (MS), Traumatic Brain Injuries (TBI), Anxiety Disorder, PTSD, and Agoraphobia. A service dog is different from a therapy dog. What is the difference between a service dog/ therapy dog/ emotional support dog? The main difference between the three is that a service dog is protected under the Americans with Disabilities Act (ADA) which allows the service dog to enter in any and all public spaces with the it's handler. Therapy dogs, conversely, are trained similarly but instead of working specifically for it's handler, they are meant to help improve psychological well being for large groups of people- for example, in an elderly home, hospital, or hospice. Emotional support dogs are the most loosely defined of the group- they do not require formal training and are companions that provide unique, although untrained emotional support to their owner. Neither therapy dogs nor emotional support dogs have access to all public spaces nor are their rights defended under ADA. What is the difference between training my own service dog and getting one fully trained? How long does it take to train a service dog? There are many differences between training your own and getting one fully trained. In our opinion, for many different disciplines, it is beneficial for the individual in need of a service dog to be involved in the training in order to form a close emotional bond-- especially in the case of Psychiatric Service Dogs, Emergency Medical Response/ Medical Alert Service Dogs, and Hearing Impairment Dogs. When the individual in need of a service dog is involved, there is more room for flexibility and individualized and specific task learning. We can do the training in the home where the dog will actually be working, which is an advantage. Another advantage to being involved in the training your service dog is that often there are years long waiting lists to receive a fully trained service dog. If you obtain a puppy or young adult that has been evaluated and deemed a possible service dog candidate, you can begin the training almost immediately- though the puppy or young adult will not be fully certified until they are at least one year of age. It typically takes 6 months to a year to train a service dog to be prepared for certification, although it varies from dog to dog, individual to individual, and service orientation to service orientation, and can take up to two years. How much does it cost to train a service dog for certification? 3)The desired Service Dog Orientation. We at Dog's Downtown do our best to make the training program affordable by scheduling payments throughout the training process and by honestly assessing the amount of professional sessions needed every week. If we begin the training by doing 5 sessions a week, but find that the handler is capable of doing follow up/ reinforcement training on their own, we may change to doing just 1 or 2 sessions a week. We will never raise the total cost of training by recommending that you do training sessions that are not absolutely necessary. What if I can't afford the training? Because Dog's Downtown is a for-profit business we are not able to train dogs without payment. However, there are options for someone who needs a service dog and cannot afford one outright. Our clients in the past have done fundraising, online and in the community, received funding from local businesses, been sponsored by different organizations, and received support from non-profit organizations. Training for service dog certification is made up of four parts: 1) Basic Obedience and Socialization, 2) Advanced Obedience and Continued Socialization, 3) Disability Assistance Task Learning, and 4) Public Access Test and Certification. Before we get started there is always an initial evaluation and consultation in which we will explain our process, costs, and the work involved for certification in a step-by-step process. Then, once we get started we offer training sessions in-home ($150/ hr) and at our facility ($100/hr) individual one hour training sessions. We also offer "out on the town" training sessions where we train in a public space, which is a very important part of the socialization and public access test certification. In most programs, we will do a mix of in-home, in-facility, board & train (for one or two weeks) and "out on the town" training sessions. Can I just do partial training and not go for complete certification? Yes! If you would like to work on basic and advanced obedience as well as disability assistance task learning without going for full certification, we can definitely help with that. Where do I get my dog? How old is it supposed to be? Is there a specific breed type? It is up to you to either have, purchase or adopt your service dog candidate, although we are happy to help with evaluation and selecting a service dog candidate on an individual basis. Please contact us directly if you need help selecting/ finding a service dog candidate. There are no strict guidelines on how old the service dog candidate should be. Typically a puppy or young adult is the best option (anywhere from 8 weeks old to six months), however, if you have a one year old dog who is suitable for service dog certification we will train them as well! We work with all different breeds but the most common breeds are German Shepherd Dog (GSD), Labrador Retriever, and Golden Retriever. 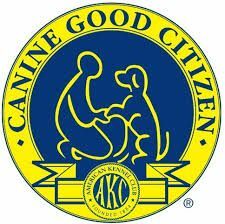 However, we will train any breed or mix that is deemed a suitable service dog candidate! Is my dog guaranteed to become a service dog? We know there are many variables to dog training: the handlers time and availability to do follow up training, the dog's level of socialization, the dog's genetic disposition and so on. Dog's Downtown's trainers strive to be upfront, realistic and honest about a service dog candidates ability to be certified. We will always do everything we can to ensure certification and if at any time we think that the dog is not well suited for service dog certification we will promptly tell you. However, we will always do our utmost to make sure the training program is individualized and intensive enough to give you and your service dog candidate the highest possible chance for certification. We always listen to the handler and shape our training based on individual need, and professional experience. How do I begin? What is the required documentation to get started? To begin, get in touch with us so we can answer any lingering questions and schedule your initial consultation session. We always encourage communication and do our best to be available to answer questions and clarify explanations at all times. We do require a letter of medical necessity from your doctor, a copy of your dog's Rabies Certificate (assuming the dog is old enough) and documentation of Distemper Combo Vaccination to commence training. We also need a veterinarian health check.